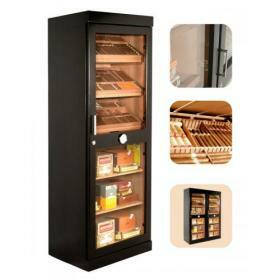 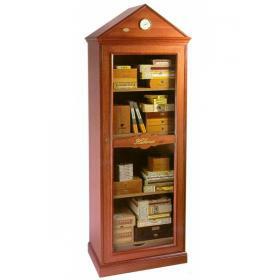 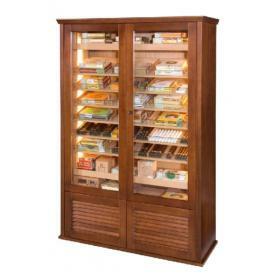 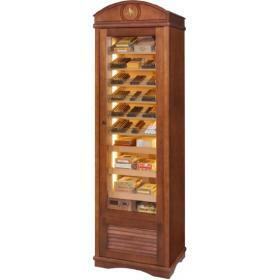 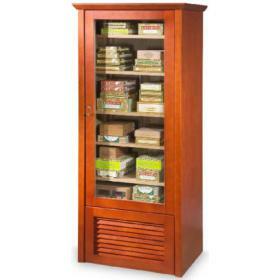 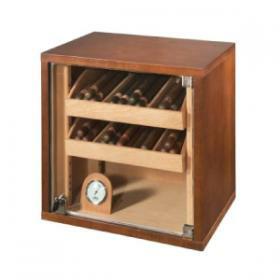 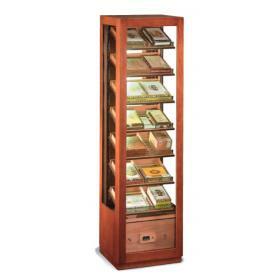 When your cigar collection is quite large, the best option for storage is a cabinet humidor. 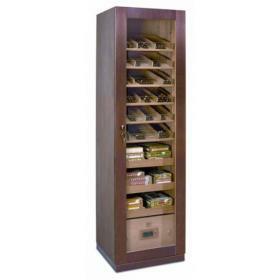 Choose a cabinet based on your collection size or opt for the larger model to expand your collection. 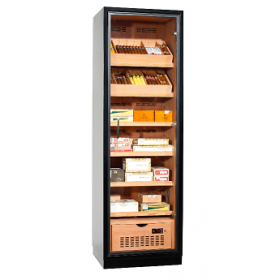 Whether you are a seasoned cigar collector or a prestigious establishment looking to offer fine cigars to its clientele, a humidor cabinet is essential to the quality and diversity of your collection. 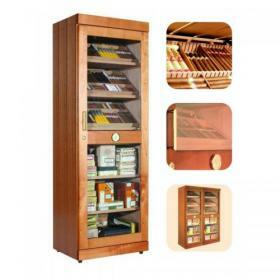 Having gone to great lengths to ensure the weight, ring gauge, length, colour, rolling quality and cap meet your own exacting standards, you will want to store them in a top quality humidor cabinet which will maintain and enhance the properties of your cigars. 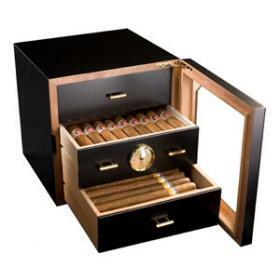 A collection of some of the world’s finest cigars deserves an equally fine humidor and at Simply Cigars we ensure each and every cabinet we offer meets an uncompromising list of standards, even to the point where you can gain a lifetime warranty. 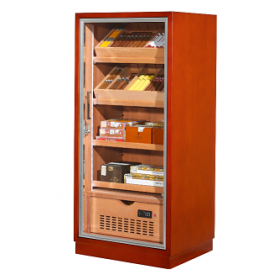 All the humidor cabinets you see featured on this page will provide you with optimum performance through the use of sophisticated components, quality materials and innovative designs. 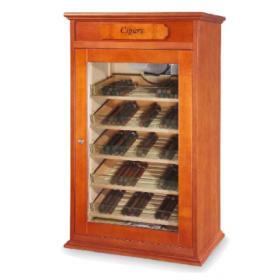 Each cabinet is lined with premium kiln dried Spanish cedar to maintain the perfect level of moisture and to support the cigar ageing process. 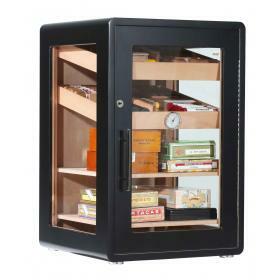 Superior hygrometers provide the reassurance that the correct humidity is constantly achieved, whilst design features such as adjustable ventilation openings allow for the optimum regulation of humidity levels. 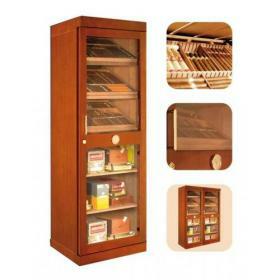 Our deluxe humidor cabinets are suitable for serious collectors, apartments, restaurants and bars, and they offer a range of advanced features to further protect your outstanding cigar collection. 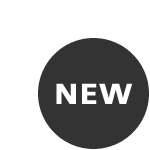 Extra strong walls or thermal insulation will allow for improved isolation which in turn results in lower electricity and water consumption, whilst electronic indicators or alarms draw your attention to low water levels without you having to open the tank. 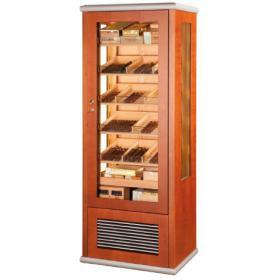 The science behind each cabinet is critical to optimise your cigar storage. 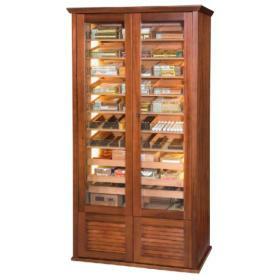 However, the art to displaying and storing your cigars is equally as significant. 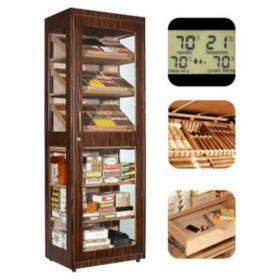 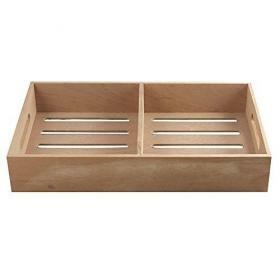 Each cabinet humidor has removable or adjustable Spanish cedar lined shelves and unique divider systems to allow you to arrange individual cigars or boxes. 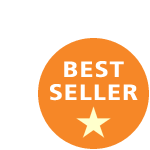 This is particularly important in a commercial environment where an eye-catching and easily identifiable display is key. 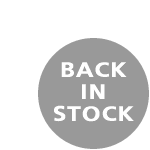 Those with an eye for perfection will be tempted by attractive LED lighting and trays where the display angle can be flexibly modified. 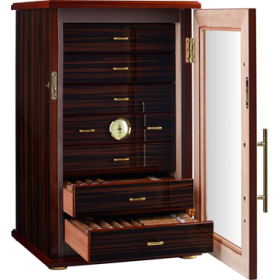 Our selection of humidor cabinets are available in a choice of the highest quality finishes, including mahogany, black ebony, cherry and walnut. 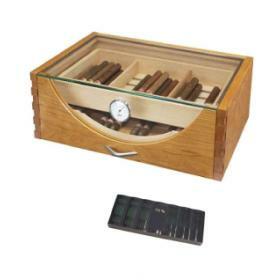 They are crafted in a range of traditional and modern designs to become an integral part of their environment. 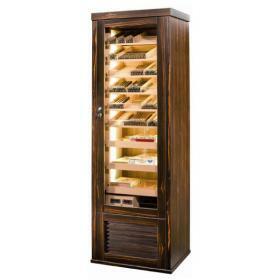 Our expert, knowledgeable team understands the complexities of selecting the perfect humidor cabinet for your requirements, so please do call us on +44 (0)20 7604 4335 or email: info@simplycigars.co.uk. 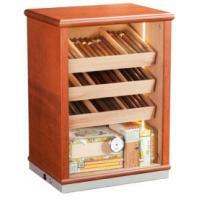 If you would like a bespoke humdidor made to measure please visit our SimplyBespoke.London.